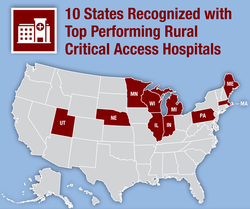 July 19 - The Health Resources and Services Administration (HRSA) is recognizing ten states for outstanding quality performance of their Critical Access Hospitals (CAHs) in achieving the highest reporting rates and levels of improvement over the past year. Read the HRSA news release. 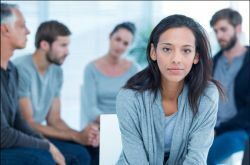 HRSA is accepting applications for the Access Increases in Mental Health and Substance Abuse Services (AIMS) supplemental funding opportunity. All current Health Center Program award recipients are encouraged to apply for up to $150,000 to expand access to mental health services and substance abuse services focusing on the treatment, prevention, and awareness of opioid abuse. Visit the AIMS technical assistance website to access application resources, including frequently asked questions and a recording of the June 29 technical assistance webinar. Applications are due by 5 p.m. EDT on July 26. Contact BPHCsupplement@hrsa.gov with questions. Read the HHS press release on AIMS. Introducing the HIV/HCV Co-infection: An AETC National Curriculum. HAB's Office of HIV/AIDS Training and Capacity Development just launched a new tool in the arsenal to cure hepatitis C (HCV) and reduce the incidence of HIV/HCV co-infection: the HIV/HCV Co-infection Curriculum. The curriculum includes a suite of online materials for healthcare providers and trainers of healthcare providers to increase their knowledge of HIV/HCV co-infection among people of color in the United States including prevention, screening, diagnosis and treatment recommendations. This curriculum was developed as a component of the Secretary's Minority AIDS Initiative Fund Jurisdictional Approach to Curing Hepatitis C among HIV/HCV Co-infected People of Color. Check out the new curriculum. A new Morbidity and Mortality Weekly Report from CDC found that people in rural areas of the U.S. get cancer less often, but die from it at higher rates. The report provides the first comprehensive description of cancer incidence and mortality in rural and metropolitan counties in the United States. Learn more about the new CDC report. Epilepsy is a neurological condition that causes the brain to seize. 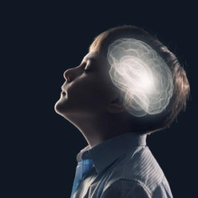 There are different types of seizures – some are more obvious because they affect movement and coordination. But others are not noticeable. Read more at the Stop Bullying Blog. A cause with "national significance"
Homeless adults living with HIV -- and further stressed with mental illness or substance abuse -- have long been much harder to keep in care than the broader HIV-positive population of some 1.1 million Americans, half of whom receive health services through HRSA-funded Ryan White clinics nationwide. But their success rate markedly increases when they are adequately housed, results from a HAB outreach project show. In one of the most hopeful advances in years, HIV viral suppression rates have increased from 69 to 83 percent among patients "who walk through the door to get health care at least once in a year," said Dr. Laura Cheever. 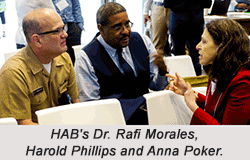 Associate Administrator of the HIV/AIDS Bureau and a practicing Johns Hopkins clinician, she addressed researchers on June 27 at HRSA headquarters. But people experiencing homelessness have rates of new infection as high as 16 times that of the general population. Learn more about Special Projects of National Significance.